Stump grinding is a necessary evil. After a storm one of our clients told us a story about a man who used a chainsaw to try to cut the stump out of the ground. What this man failed to realize was that a chainsaw blade is a well oiled machine. Sand/dirt and oil and moving parts do not mix well. It is not as simple as simply renting a chainsaw and trying to cut the root system out of the ground. You will need specialized equipment. Running a stump grinder is quite a task. The machine is large and powerful, and can do major damage to items located beneath the ground surface. 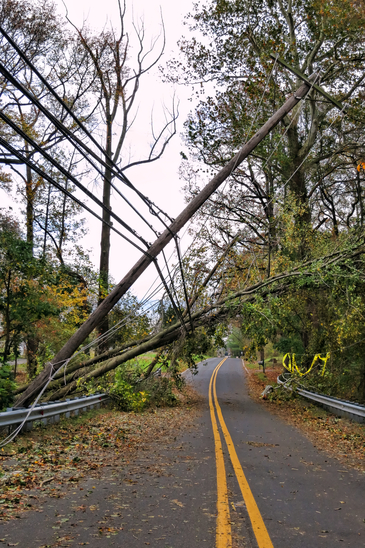 It is one of the biggest reasons that the power company says to "call before you dig." They will come out an map the ground with flags so you know what is beneath the surface. It gives us directions on exactly where to dig and where to avoid. We have even seen individuals try to hook a winch system or car to a stump and attempt to remove it from the ground. This can also do damage to underlying structures in the ground and can cause damage to the vehicle. 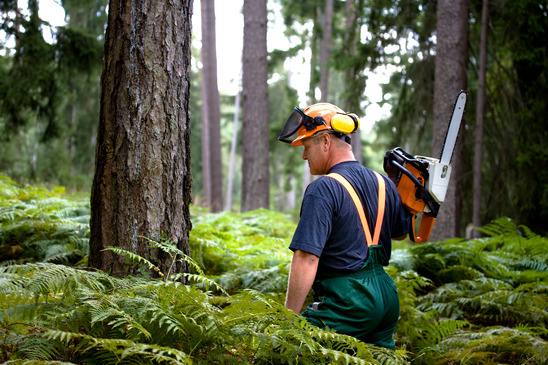 We recommend having our tree team evaluate your stump grinding needs in order to ensure the safety of your property and your vehicles. 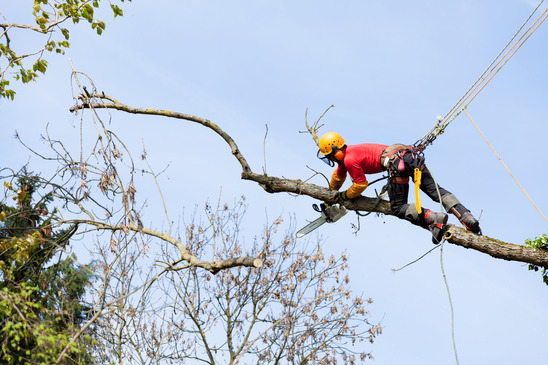 Do you need Tree Cabling or Tree Bracing to increase stability?